One hundred and forty days into the job that denied him the honour of leading Spain to the 2018 World Cup, Julen Lopetegui was handed a sack letter. It took just 10 La Liga matchdays for Florentino Perez to realize his mistake. Santiago Solari was quickly drafted to steady the ship. Solari couldn't last longer than 14 days in his new role. According to the Spanish Football Association (RFEF) rules, a team cannot maintain a caretaker manager for more than two weeks. Early results allowed Perez to make him the permanent boss, as if that was a literal term. Solari's early success kept Antonio Conte unemployed if, like permanent managers having any job security, early rumours were true. In the end, we never found out. Four successive wins and 15 goals scored convinced the board Solari was their man at least through the summer. To appease LFP regulations more than demonstrate his confidence in the Argentine, Perez handed the hitherto inexperienced 42-year-old a two-year contract. There have been a few dark clouds along the way but the outlook at the Bernabeu lately has been as sunny as the new boss' name. The Merengues were ninth when the former Inter Milan midfielder took charge. They’re now third. Their goal difference has also shot up, from nil to +8. It’s clear that Solari has flipped a switch at the Bernabeu, maybe more than one. The question is how? Debate over the rising player-power in football cannot ignore Real Madrid players. Managers who upset the big names in that clubhouse don’t last long. Handed a team with eight players nominated for the Ballon d’Or, including the reigning World Footballer of the Year; Lopetegui found it difficult to keep the majority happy. He wasn’t impressing the Madrid board either. Enter Solari. 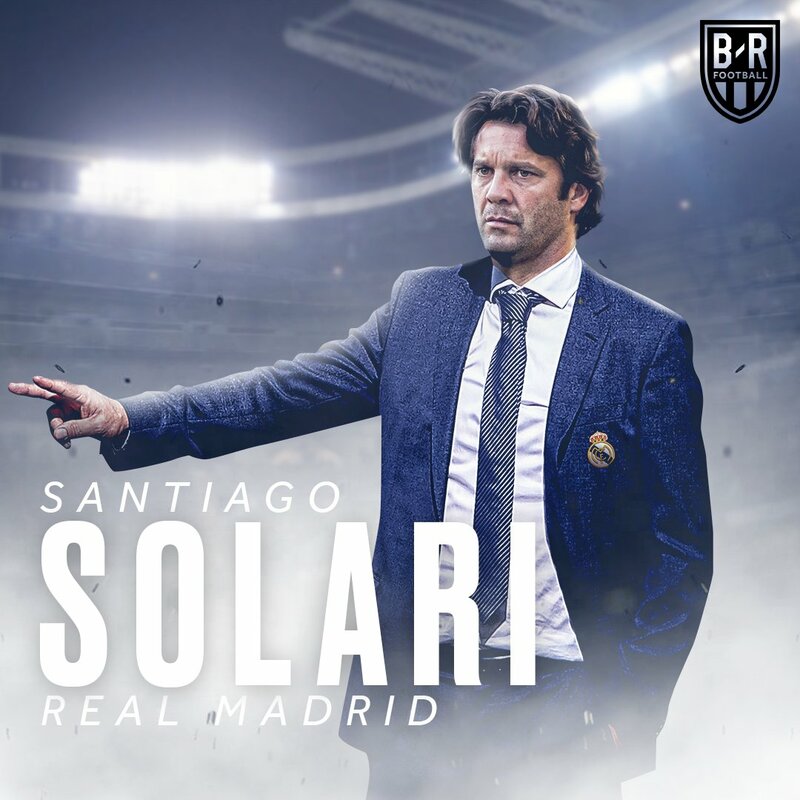 Solari wasn’t just another ex-Madrid player gifted the big job; He managed the Madrid youth side before moving up to handle the Real Madrid Castilla, the B team. He became a popular figure among fans and the board. Unless your name is Isco, it was hard not to like the easy-going South American. For this part, Solari didn’t need to do anything but be Solari; a man known for his friendly demeanour and football mindset. Added to his deep understanding of how things work at Real. It all combined to make him the perfect short-term answer to Madrid’s managerial crisis. A major problem for Madrid was getting goals without Cristiano Ronaldo. Solari came in with a system that clicked. Karim Benzema received particular attention. The Frenchman repaid the new gaffer with five Liga goals, one more than double his total under Lopetegui. Luka Modric and Lucas Vázquez were given the playing time they craved and deserve. Solari has since brought back solidity and flair to Los Blancos while installing a new sense of belief and confidence. After all, they’re the Champions of Europe. Madrid players now enjoy the freedom to express themselves and have fun on the pitch. The result has been telling. Real have picked 20 points from a possible 24 in their last eight Liga games. As things stand, Real Madrid is still in contention to win three major trophies this term. It’s always been Florentino Perez’ intention to one day build a Galactico with youth players, preferably from Madrid’s youth ranks. Straight from managing the Castilla, Solari looks the second-best manager to make that dream a reality. Second-best only because Zinedine Zidane followed the same path. Solari hasn’t wasted time. He handed first-team appearances to Federico Valverde, Sergio Reguilon, Javier Sanchez and Marcos Llorente. Most importantly, Solari has eased Vinicius Junior into the first team. Real signed the 18-year-old Brazilian in 2017 for €45 million. Since then, Perez hasn’t been happy seeing him outside the senior team. Santiago Solari is well and truly in touch with the tactical aspect of the game. He simply had to move a few pieces to get Real Madrid ticking.